Blogs are everywhere. Everybody, every business, everywhere, has a blog these days, some run on free platforms like Blogger and WordPress, but majority of blogs are created on self-hosted platforms where you are in charge of everyting. There are blogs on family, health, writing, music, news, a million other things, and, yes, blogs on blogging. But it had to start somewhere, right? Sure, people have been writing things down on the internet since day one, but who decided to start writing things down in a weblog format? For that matter, who decided it should be called a “weblog”? Recommended reading: What is a blog? Well, in what’s not exactly the greatest surprise twist in history, it was an intelligent, somewhat maladjusted, slightly crazy man, with a truly magnificent beard. Jorn Barger was, basically, one of the original computer nerds. Born in Ohio, to all accounts beardless, in 1953, he was a smart young man. Jorn first encountered and fell in love with computers in 1964. Most people today probably wouldn’t even recognize a Minivac 601 as a computer, but eleven-year-old Jorn Barger did. More than that, he saw the potential in it. Jorn studied math and sciences in high school, and then bounced from college to college, to university, but never actually got around to getting a degree. Then he abandoned a career in computers, to spend some time discovering himself at The Farm, a famous hippie commune in Tennessee, and other places, for several years. He reemerged in the 1980s as a programmer, writing software for most of the decade, before following his deeper interest in 1989 and taking a job at Northwestern University as an artificial intelligence researcher. This bit matters, because it fit into Jorn’s personal obsession with the idea of analyzing human behavior through computer simulation, or, as he called it, “Robot Wisdom”. Once upon a time, in 1980, before the coming of Google, before AOL, before anyone had even thought to call it the Internet, before there were such a things as dot com, and a phone call meant disconnection, there was Usenet. People who have used 4Chan, Reddit, or any bare-bones internet forum would find it familiar if not a little complicated and arcane. Usenet was (and still is) just a place where people could go and talk to one another, and to Jorn Barger, from 1989 onward, it was home. Everything starts somewhere, the internet as a community started with Usenet. Jorn took to it with an almost obsessive level of gusto. Here was a place created for the purpose of creating communities, accessible only to other tech-savvy individuals. To call his writing on there prolific would sell it short. Jorn’s credited with over ten thousand posts. 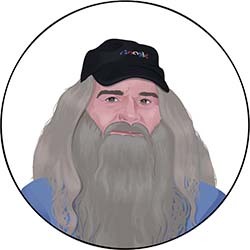 He helped write some of the earliest FAQs on things like ASCII art, and was active in forums on topics as diverse as AI, singer Kate Bush, and writer James Joyce. He was well-known and, to all appearances, well-liked for his first few years in the community. However, as time went on, Jorn began to experience personal friction both at work and on Usenet. By the end of 1992, it all came to a head, and he found himself no longer employed by Northwestern and embroiled in conflict in his old forums on Usenet, particular the Kate Bush fan forum. He blames everyone else for turning against him, the innocent victim. It can’t be said whether this true, but it’s easy to get a sense, from his writing, of how he found himself made the villain in it all. There is a sort of innocent lack of self-awareness in it all, especially considering he spent the better part of the 1970s working to become self-aware. In any case, he found a new place, and it was here that he rose to his highest heights, and gave his account of these past disagreements. Going back to his philosophical roots, he called the place Robot Wisdom. The concept was simple, but novel. Jorn created a page that linked to other posts and pages, some on Robot Wisdom, some elsewhere. Every time he posted something new, it would appear at the top of the page, and everything else would move down a little. By scrolling down, you moved back in time. It was here Jorn set out to create a space of his own, and explain his interests to a wider world he hoped would understand and welcome them. And they did, for a time. He started posting in 1995 and continued to post for an entire decade. During that time, Robot Wisdom changed the way the world communicated. The whole process of collecting interesting things from around the world and writing about them on the internet was a new idea, and so it needed a new name. Jorn decided to call it “logging the web”, which made Robot Wisdom, of course, the first weblog. So it became Robot Wisdom Weblog, and the blogosphere was born on December 17, 1997. Robot Wisdom continued to benefit from Jorn’s diverse interests and his prolific nature. It was updated one or more times a day, and there was virtually no one who could not find somewhere their interests and Jorn’s overlapped, and so Robot Wisdom Weblog grew. True to form, he also got to work on the first Blogging FAQ, released in 1999. Whatever it was that brought people to his site, it worked. Robot Wisdom became extremely popular, and Jorn found himself something of an early web icon, a pioneer of this new idea. He collected links to interesting content. Anything—everything!—was fair game, as long as it was interesting. Jorn Barger found himself influential, part of a tiny cadre of internet trendsetters. It was in this capacity that he made his mark on history. Every day he rounded up the best content he could find and posted it to the top of the feed. The most important part of Robot Wisdom was that structure. That feed-by-date structure is at the core of WordPress, Blogger, Facebook, and Twitter; it was really how Myspace got started. Somehow, this man who had trouble fitting inlaid the cornerstone of what would become social media. Sure, it was just a journal, really, but it was available to anyone with an internet connection. Jorn could talk about artificial intelligence, his somewhat difficult childhood, Kate Bush, or link to a news article, all in one place, all in one day. There was no need to fit in, because it was his place, and his alone. Anyone could do it, and lots of people did. More every year. 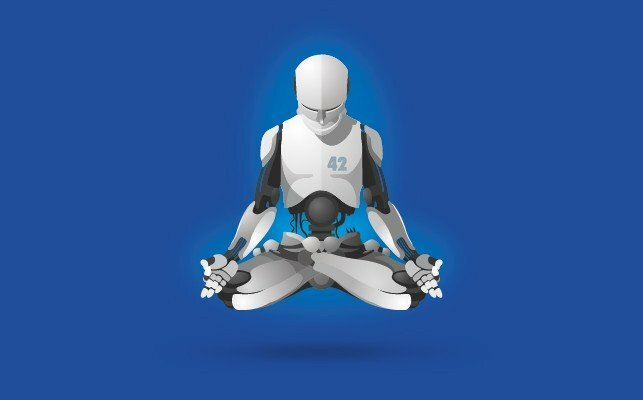 Jorn Barger helped it along with his undeniable and appealing enthusiasm for a plethora of subjects, but there’s anguish in many of his personal posts on Robot Wisdom. It is clear Jorn Barger sees—has always seen—himself as an outsider, a self-described “oddball”. An odd man who knew he was odd, but never quite how, or why. And perhaps that was what people saw in him because there are few threads winding themselves through the human experience so common as the feeling that we are not entirely understood by everyone else. As always, though, the seeds of his exodus were planted. If Jorn was right, and survival of the fittest is the rule, then the “blog” was certainly the fittest. The blog has evolved, split, and sired countless offspring since then. Robot Wisdom, however, was not quite so fit for the environment of the increasingly mainstream internet community. It’s a given that if you say enough, you’ll say something to make people angry. The beginning of the long slide from glory for Robot Wisdom came just a couple months after Barger published the first blogging FAQ, in December of the same year, when he posted a passage from Israel Shahak to his blog. While Shahak is somewhat controversial, this probably would not have been a major issue, except Barger, stubbornly true to form, or perhaps true to stubborn form, insisted, from then on, posting statements in his site header such as “Judaism is racism is incompatible with democracy” which alienated many readers. He soon shortened it to the banner text, “Judaism is racism,” capitalization preserved as it was, by the way. It didn’t die all at once, of course. Robot Wisdom drained away like a leaking battery, flickering on and off a few times until Barger could no longer afford to run it, and it shut down for good. Today, tracing Barger’s path across the internet is an adventure through thickets of broken links and expired domains. Robot Wisdom is now only accessible through the Wayback Machine internet archives. Jorn Barger has, in the time since, bounced around, and gone missing several times—both physically and on the internet. In both cases, he has eventually surfaced again in a different place. He was on Blogspot for a bit, then he was on Twitter for a few years, but he got upset that people skimmed his feed instead of reading it in depth, and left in a huff, never to return. He was purportedly in Chicago for a time, then relocated to Socorro, New Mexico, a small town that is home to the New Mexico Institute of Technology. He’s still answering questions on Quora, or at least someone using his persona is. So, Jorn leaves an odd legacy. He helped create the blogosphere, named it, and defined what it would become. The same intensity that drove him to stay on the cutting edge of technology, and accomplishes so much while there, has continually undercut him. He is a man who searches for communities, and, when he doesn’t find them, builds communities, only to eventually be forced from them. Regardless of his personal challenges, he has made enormous contributions to the Internet. He was acknowledged by CNET Builder.com (now defunct) in the very first Web Innovator Awards (now defunct) for his influence. Though his fame has faded into obscurity, the trails he blazed through the wilderness have become some the busiest routes on the information superhighway. Of course, blogging would have happened with or without Jorn Barger and Robot Wisdom—it just wouldn’t have been blogging. Next » Posterous is Dead. What Now? I worked with Jorn in the 1990s I knew him very well, his Quora page is certainly him, Jorn was not private about his interests and he let people who knew him know very well what he was interested in and what he was not interested it, commenting on everything people read. What he posts on in Quora is in full line with what he would talk about. Pingback: Intelligent Artifice - Best Breakout clone ever?